Dr. Lisa Welling is a tenured Associate Professor at Oakland University in Rochester, Michigan (USA). Previously, Dr. Welling completed an honors thesis on the neurological components of the facial feature hierarchy in the psychology department at St. Thomas University (Canada), which was funded by an Undergraduate Student Research Award (USRA). Next, she attended the University of Aberdeen (Scotland) where she completed the requirements for a Masters in Research (M.Res.) and was transferred into the Ph.D. program. 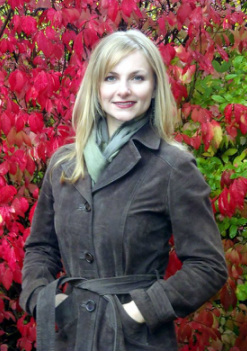 Her Ph.D., entitled Individual Differences in Face Preferences, was completed in 2008 under the supervision of Dr. Ben Jones in the Face Research Laboratory and was funded by the Natural Sciences and Engineering Research Council of Canada (NSERC). Dr. Welling was then able to secure an Economic and Social Research Council (ESRC) one-year postdoctoral fellowship in the Face Research Laboratory under the supervision of Drs. Ben Jones and Lisa DeBruine. Thereafter, she completed a 3-year American Institute of Bisexuality (AIB) funded postdoctoral fellowship at the Pennsylvania State University with Dr. David Puts in collaboration with Dr. William Crowley at the Harvard University Medical School. Dr. Welling has presented her work at international conferences in various locations around the world, such as Japan, Russia, Italy, and France, and has given invited lectures at prestigious institutions, such as Harvard University, McMaster University, and University College of London. She joined the faculty at Oakland University in the Autumn of 2012, was awarded the Oakland University New Investigator Research Excellence Award in 2015, the Oakland University Outstanding Graduate Mentor Award in 2018, and received tenure in 2017. She currently serves on the Editorial Boards for the journals Evolutionary Psychological Science, Evolutionary Psychology, and Adaptive Human Behavior and Physiology. She is particularly interested in how hormones affect different aspects of our behavior, including mate choice, preferences, and sexual behavior. Office: 212 Pryale Hall, Oakland University Main Campus. Rich Holler is a doctoral student who joined the Welling Research Lab in Fall 2018. Rich earned his B.A. in Psychology (minor in Biology) at Pennsylvania State University, where he worked in Dr. Lynn Liben's cognitive psychology lab, Dr. Mark Shriver's anthropological genomics lab, and Dr. David Puts' evolutionary anthropological lab. Thereafter, he worked at the University of Texas at Austin with Daniel Conroy-Beam and Laith Al-Shawaf from the Buss Lab. He received his M.S. under the tutelage of Dr. Glenn Geher at the State University of New York at New Paltz in 2018, where he also participated in Dr. Carol Vazquez' Social Cognition Lab. He is primarily interested in the malleability and development of sexual and romantic attraction, as well as the impact of hormones and environments on mating strategies. He is currently an associate editor of the Journal of the Evolutionary Studies Consortium and when he is not reading or writing, he watches college and professional football, runs, plays guitar, and rides his beloved bike called The HMB Beagle. Ginny Mitchell is a Ph.D. student who joined the Welling Research lab in the Fall of 2016. She previously studied at Hendrix College, where she earned her B.A. in Biology. While at Hendrix, Ginny worked on a variety of projects ranging from the study of DNA transcription in yeast with Dr. Andrea Duina to the coevolutionary relationship between the Osage Orange and small, scatter-caching mammals with Dr. Matthew Moran and Dr. Jennifer Penner. She also carried out an independent research project investigating the scatter-caching and food foraging strategies of the Central American agouti. Ginny is mainly interested in how natural and synthetic hormones affect women’s mate preferences and behaviors. Outside of her studies, Ginny is an avid cyclist and Tolkien enthusiast. She also enjoys picking up a book, playing board games, and a fresh cup of coffee. 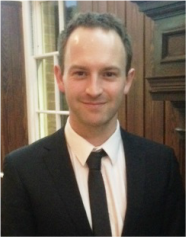 Simon Reeve is a Ph.D. student who joined the Welling Research Lab in September, 2014. Simon has previously received a B.Sc. (University of Portsmouth, UK) and M.S. degree (Western Illinois University) in experimental psychology. His Master’s thesis investigated the influence of romantic rejection/acceptance cues on mate preferences and sociosexual orientation. In general, Simon’s research interests focus on the influence of social and environmental cues on attitudes and behaviors — particularly mate preferences and sexual strategies — and he is keen to expand into the study of hormonal influences during his time at Oakland. Outside of his studies, Simon enjoys books, films, travelling, running, good food, better wine, and coffee in almost any conceivable shape or form. Kayla Shephard is a Masters student who joined the Welling Research Lab in Fall, 2017. She previously attended Saginaw Valley State University where she earned her Bachelor's degree in psychology, with minors in communication and chemistry. During her time at SVSU, Kayla was involved in a wide variety of research projects, studying topics such as dermal/optical perception, olfactory perception, and short-term memory recall. Kayla also works in applied clinical psychology as a Case Manager and Psychiatric Technician. Kayla takes an interdisciplinary approach to researching human mate preferences and behavior within the workplace. Other interests include travelling, reading, riding her ATV, and enjoying a good cuppa rooibos tea. Ashley is a senior at Oakland University with a Psychology major and Biology minor. 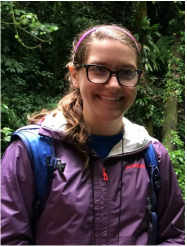 She joined the lab in Fall 2017 to gain experience for graduate school and better understand the research process. She is interested in behavioral neuroscience, especially how hormones and neurotransmitters play a role in our behavior. 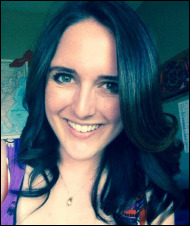 She is a member of Psi Chi and has also served as a TA for Statistics in Psychology for both Dr. Malatesta and Dr. Taku. Outside of the lab, Ashley likes to read, watch YouTube videos, and spend time with her loved ones. Sarah is currently a junior at OU working towards a bachelors degree in Psychology. After obtaining her bachelors she plans to go onto graduate school for clinical psychology. Up until now, Sarah has only been in a classroom setting and she thought it was time to be in a lab and apply what she has learned in all of her classes. In her free time, Sarah likes to crochet, go to concerts, and watch horror films. Melissa is a senior pursuing a degree in Biomedical Science with a pre-med concentration. She discovered her love of psychology her senior year of high school and has been fascinated by the mind ever since. She enjoys being in a lab and applying her knowledge and skills, which is why she chose to become a Research Assistant starting in 2016. Since she also enjoys Biology and investigating how the body and mind work together, she hopes to one day combine her passions and work in the field of neurology, preferably in pediatrics. Nicole is a first-year Honors College student at Oakland University who joined the lab in the Fall 2018 semester. She is a psychology major and a relational communications minor. She is passionate about many areas in psychology and plans on going to graduate school. Her hobbies include music and martial arts.